Notice: while not particularly gory, this chapter may be NSFW in a different way. May the preview picture below guide your judgements. i dont quite understand which part of which is NSFW???? I thought it was a guy and a young girl from the pic on the first page, lol. I didn't quite understand the thief's reasons for his behavior, because he wanted a family too perhaps? Will you be doing the last two(?) 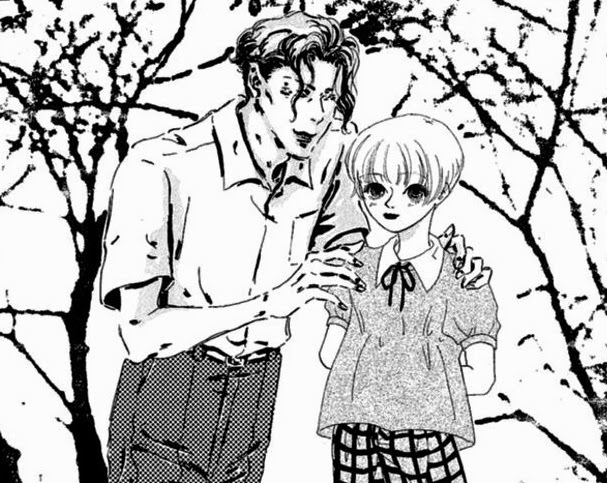 chapters of the Junji collection? Our translator decided on "Carrot and Stick" because it's the same idea of punishment and reward, but carrot and stick is a more common anecdote! The title should be "The days of candy and whip"